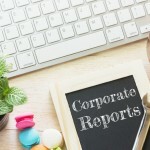 Ethnic diversity, the UN Sustainable Development Goals, wider stakeholder interests and encouraging a longer-term focus are some of the issues considered in the UK Financial Reporting Council’s (FRC) consultation on the revision of the Corporate Governance Code. Elsewhere many corporate governance codes are yet to address these issues and, whilst the revision itself does not go very far, the consultation questions probe the appetite for encouraging greater action. The consultation document refers to ‘wider’ stakeholder interests, but focusses on ensuring employee voices are heard. And whilst the proposed approaches should ensure employee voices are heard, employees are not the only stakeholders that companies should engage with. Engaging with a wide range of stakeholders ensures that material risks and opportunities are identified. This includes risks and opportunities posed by climate change and sustainable development issues. Despite acknowledging the importance of ‘wider’ stakeholder interests, the revised Code does little to address this. But the consultation does ask whether a more specific reference to the UN SDGs should be considered. 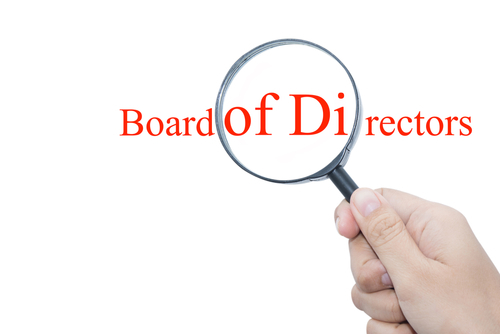 A board sub-committee could be charged with oversight of such risks and opportunities and the stakeholder engagement required to identify them. 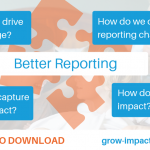 Management often conduct a broad stakeholder engagement to identify material risks and opportunities as part of the process of developing a sustainability report. Board oversight of this stakeholder engagement process (which currently often does not occur) would help ensure such risks and opportunities were considered in developing strategy. Further, when developing their Board skills matrix, Boards could be encouraged to ensure they have sufficient board level expertise with respect to the governance of climate change and other sustainable development risks. This important skill is often ignored by Board assessment processes. Relevant risks for a multinational corporation, for example, might include adequacy of water supply and labour rights in the supply chain. For a medium sized company, opportunities might include, for example, the use of plant and manufactured materials for products traditionally made from leather seen as less environmentally sustainable by a growing number of people. An approach to doing this is proposed in: Adams, C A (2017) The Sustainable Development Goals, integrated thinking and the integrated report, IIRC and ICAS. ISBN 978-1-909883-41-3. (Download here.) A growing number of investors and asset managers are considering how they will respond to the recommendations of the Task force on Climate-related Financial Disclosures and the Sustainable Development Goals. Companies that consider these approaches are likely to have access to cheaper capital. The SDGs and the TCFD recommendations were both published relatively recently. Whilst there will undoubtedly be some push back for including them now, experience with them will grow – investors are considering how they can engage with companies on these matters. The draft revised Code aims to increase diversity in the boardroom, in the executive pipeline and across the company. The focus is on gender diversity where there is a requirement to provide data on diversity at Board level and in the ‘pipeline’, but the consultation seeks views on extending this to ethnic diversity. The lack of transparency on ethnic diversity makes the issue invisible to the public eye and hence unlikely to be addressed. 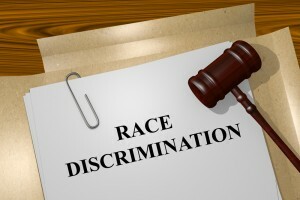 The consultation asks those against including measures to improve ethnic diversity in the Code to provide information on costs and burdens of doing so and quotes reports published by consultants pointing to the benefits of doing so. The lack of inclusion of women and ethnic minorities in senior positions over the last century has not been due to cost concerns and has ignored potential cost savings economic benefits. Apart from better representing employees, an ethnically diverse management team and Board will contribute to other forms of diversity, including the nature of issues considered by the Board and approaches to addressing them. The revised Code seeks to promote long-term shareholdings by executive directors that support alignment with long-term shareholder interests. However, the emphasis on such periods being longer than five years could be stronger. Many risks, including climate change and other sustainable development issues, take significantly longer than 5 years to have a material impact on share value and dividends. A broader range of performance considerations could be included in the Code which address the increased interest in aspects of performance not measured in financial terms. In addition, the Code could require that executive remuneration is linked to achievement of strategic goals to enable long term value creation. This could include: improvement in culture; reduction of the gender pay gap; improved mechanisms to identify sustainable development risks and opportunities; and, evidence of responses to such risks and opportunities. To help achieve this remuneration committees could be encouraged to consider how executive remuneration reflects achievement of strategy which is designed to support long term value creation (and which is not measurable in financial terms). The consultation asks related questions on the Stewardship Code including whether investors should consider reporting and performance on adapting to climate change, whether broader social impact should be addressed and the role of investors in improving long term performance of the companies they invest in. All of this is a step in the right direction and ahead of other codes, but still long overdue. More on this to follow. Carol Adams’ response to the UK FRC’s Corporate Governance code consultation is here. See: Adams CA and McPhail K (2004) Reporting and the politics of difference: (non)disclosure on ethnic minorities Abacus 40(3): 405–435; and, Adams CA and Harte GF (1998) The Changing portrayal of the employment of women in British banks’ and retail companies’ corporate annual reports Accounting, Organizations and Society 23(8): 781–812. Also available here. Thank you for the article. Your views on expanding the scope of SDG impacts to include further stakeholders and making transparent executive pay in sustainability performance are well posed. 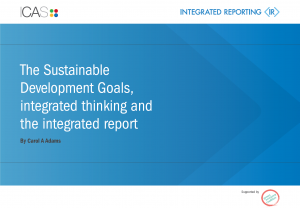 The articulation of the SDGs in terms of the ‘Octopus’ for Integrated Reporting unfortunately could be interpreted as a form of SDG washing (as opposed to greenwashing). An increased use of risk management and in particular sustainable value at risk and resulting capital allocation could provide alternatives. Hi Glen, I agree that whilst developing strategy to contribute to the SDGs is a good start, it is not enough. There needs to be some accountability for material impacts and contributions. 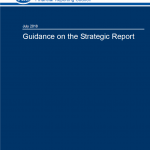 The work the GRI and the UNGC have done is useful in this regard. 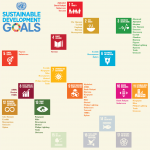 This report available on the IIRC website does stress that sustainable development risks and opportunities need to be considered in developing strategy: Adams, C A (2017) The Sustainable Development Goals, integrated thinking and the integrated report, IIRC and ICAS. ISBN 978-1-909883-41-3. It also stresses the importance of such an approach from a investor perspective for long term value.